If you are trying to use WooCommerce along with WordPress, then there are a few things that you would need to know when it comes to setting it up. This is a good idea if you are looking for an easy way to set up your online store and still have the blogging facilities. Here are a few of the best ways that you can start to set up this online store using both of these platforms without having to hire someone to take care of everything for you. WooCommerce is simply a plugin for WordPress, which simply needs to be installed and then activated for it to work properly. It’s open source and free, which means nothing will expire and licenses aren’t required to use the software. WooCommerce is the most popular online store plugin for any sites based on WordPress that is available. It is the plugin that is the most feature rich option that is around. 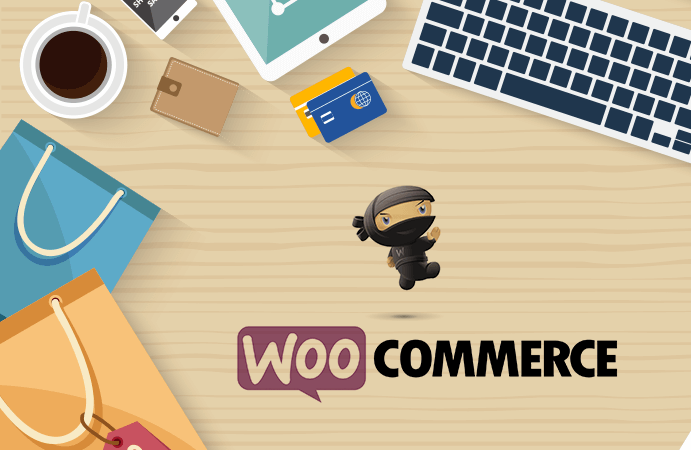 WooCommerce is easy to set up and you can easily configure it all by yourself. The setup is quick and it might only take you an afternoon to get it all done. It works with your current theme or design that you already have installed on your site, which means you don’t need to get rid of the current one. These are only a few of the top reasons that putting these 2 platforms together is the best way to go for your site. What Can You Sell Using This? Once you know what you can sell, then you can get everything set up easily and get the process started quickly. Purchasing your domain name and getting web hosting, which can be done from a few locations, so make sure to pick the right option that fits your budget and more. Install WordPress on your site after you have purchased the domain and are starting to set everything up. Install the plugin for WooCommerce, which can be done by searching in the plugin area and then clicking install. Create the required store pages like shop, cart, my account and checkout and other information pages that customers would want to see. Make sure that they are easy to navigate and read. Setup the locality information like location of the store, currency to be used, what unit is going to be used as the weight for the products and what unit will be used for the measurement of the products. Choose the payment method like PayPal and other methods for taking debit and credit cards, but make sure that you have a few options that allows everyone to use what they feel the most comfortable with. Adding the first product, including the name, description, categories, tags, images, data and more and then doing this for all of the products that you are going to be selling. Picking the theme for the online store, which can be the same as your current theme or a different one depending on your wants and desires. You can choose from some that come with WordPress or you can find free or price based ones all over the internet. These are just a few of the things that you would need to do when it comes to getting your online store set up, so go ahead and make sure that you are doing them. You should always make sure that you have the pictures, descriptions and more ready so that you can simply copy and paste them into the page. There are plenty of reasons why you should think about using both WordPress along with WooCommerce for your online store. Not only are they both compatible, but they are both free and easy to use and install when it comes to your site and no expert help is required. You should also ensure that you are aware of the steps that you would have to follow to get it ready, including installing WordPress first and then WooCommerce. Go ahead and get started with your online shop without having to worry about anything since the process is simple and quick.